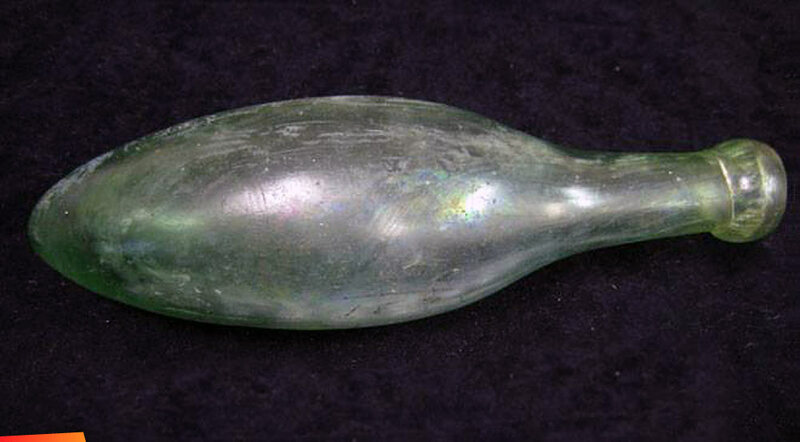 Long before there was Bowen & Bowen and the mass production of various sodas, the bottles were shaped a bit differently. Called torpedoes or bombs, the rounded bottom was supposed to help prevent the cork from shrinking by keeping it in contact with the soda. A side advantage for the merchant was that the consumer had to finish the beverage before the bottle could be laid down. 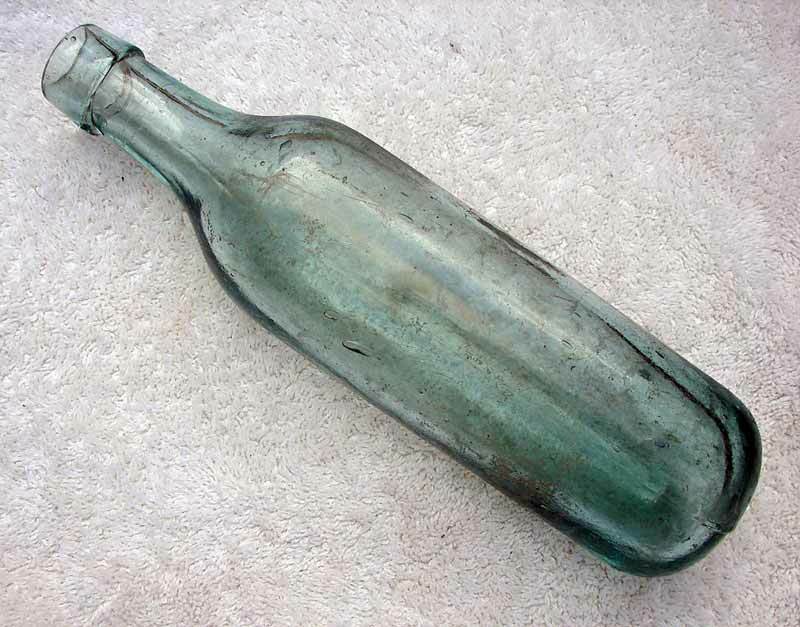 This bottle dates mostly from the 1870’s to the 1910’s, though some American examples date to as early as the 1840’s.